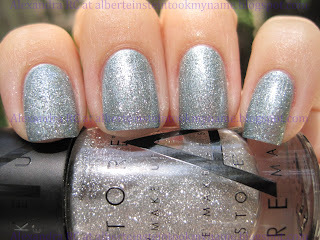 Lucia is a two-coater pastel metallic foil and Alma is an easy to apply silver glitter. 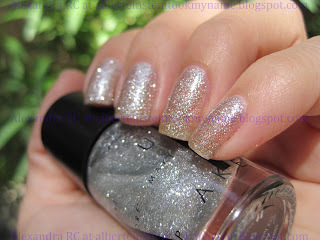 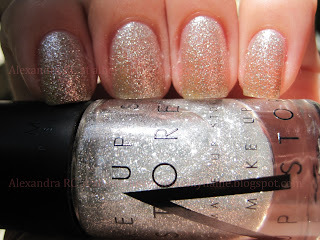 The formula on Alma is amazing for a glitter, not goopy at all, and it looks glossy without top coat. 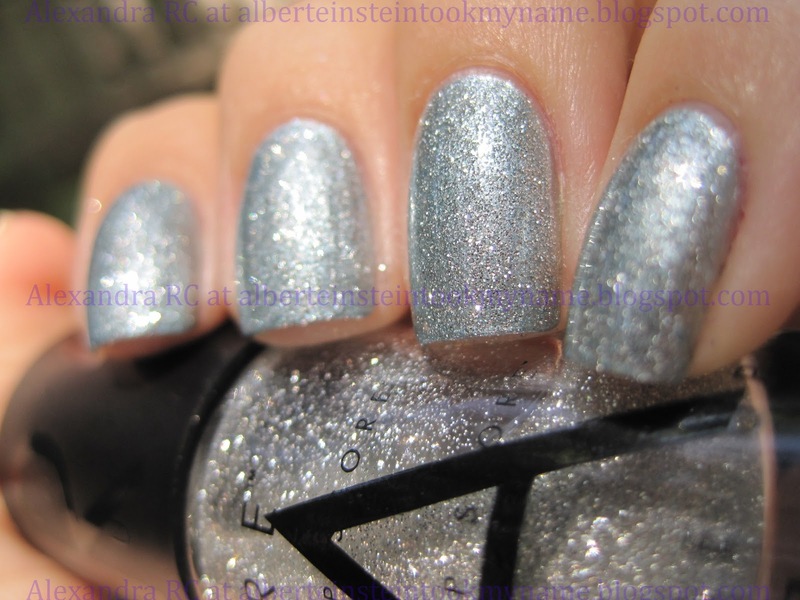 I also love their bottles, I hope they never change the shape. BONUS PICTURES - Alma by itself and Lucia by itself!